Elegant riding boot made of soft, water repellent neat leather with a thickness of 1.6-1.8 mm. The inner leg inserts are made of grained leather for additional grip. The boot features a Dermo Dry lining combined with 3 mm foam. Dermo Dry is both antibacterial and moisture regulating to help keep your feet dry and fresh. 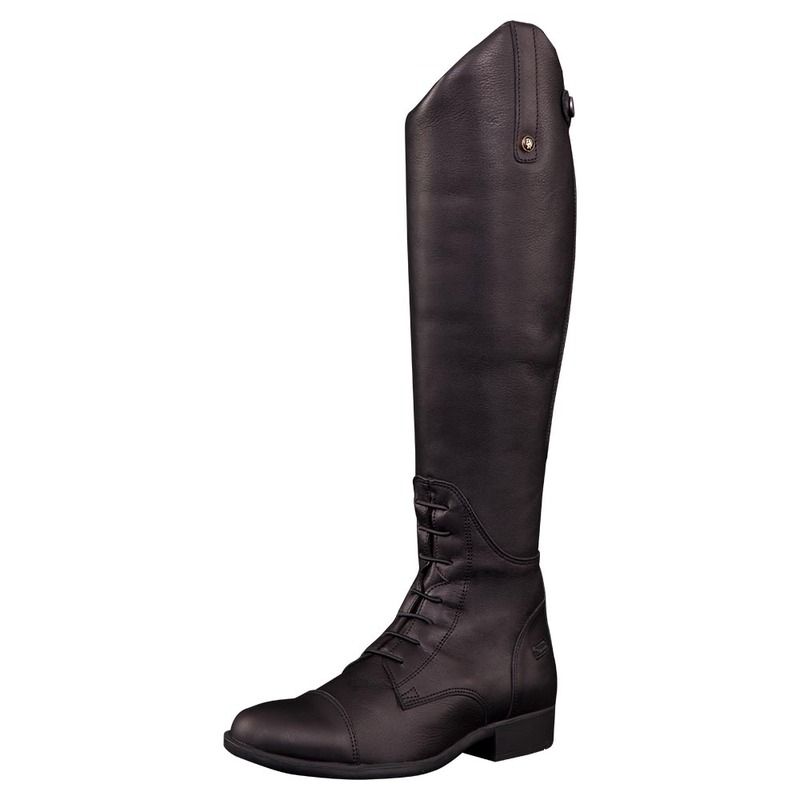 The boot is fitted with a strong Opti® zipper at the back and a leather zipper keeper with press stud at the top. The leather flap on the inside of the boot protects both the zipper and the leg (please note: do not pull on this flap when putting on the boots). The full length rear zipper makes it easy to put the boots on or take them off. The narrow insert along the zipper is made of Italian quality stretch material featuring a leather look. This stylish insert provides a close fit. 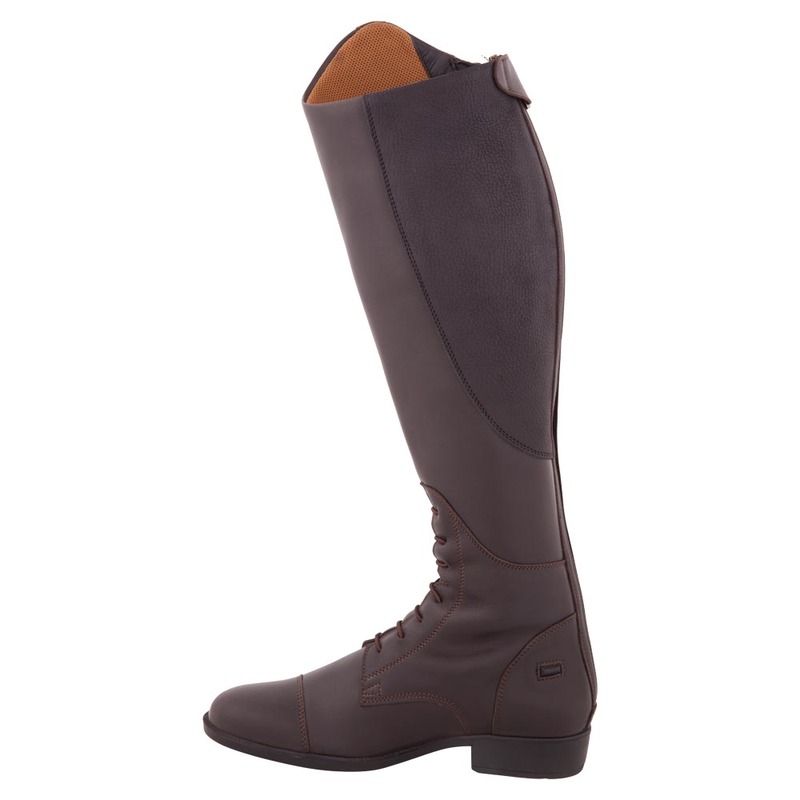 The boot features a round topline (5 cm), elastic laces and two spur rests. In addition, the boot has a grip sole made of high-quality natural rubber. The heel features an impact zone with excellent shock-absorbing properties. The Texon midsole is fitted with an integrated metal shank, which allows for good stability and even pressure distribution. Additional comfort is provided by its top layer, which is made of microfiber and 4 mm foam. Both the slim cut around the ankle and the stitched square toe cap provide a great look. Made in Europe. This model has a wide shaft. This model has a normal shaft. 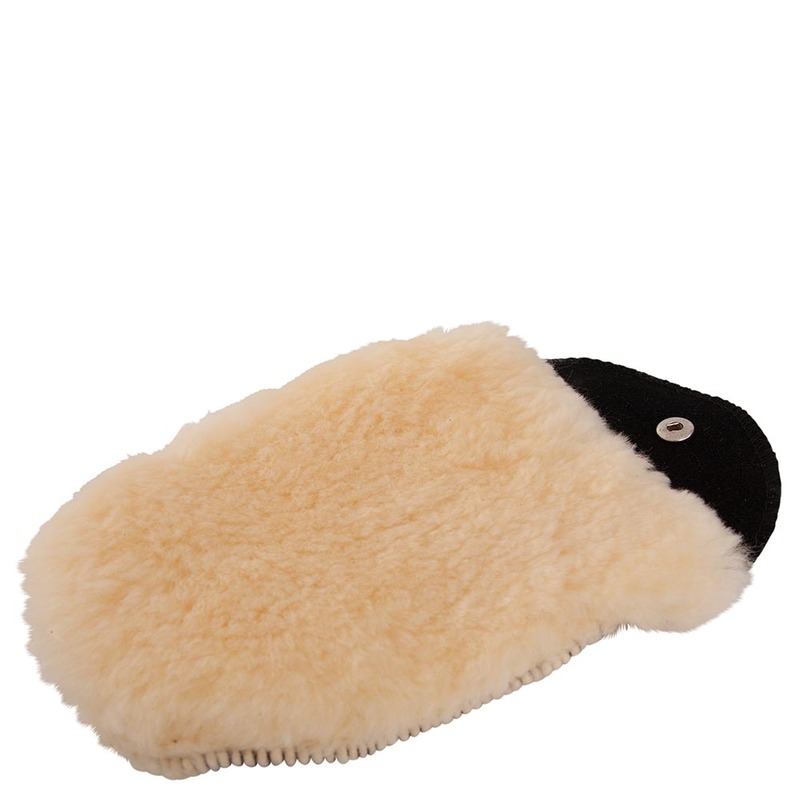 This suede grooming glove features medicinal sheepskin on one side. The sheepskin puts a beautiful shine on leather shoes and boots. The glove can be rolled up into a small size. Perfect for competitions. 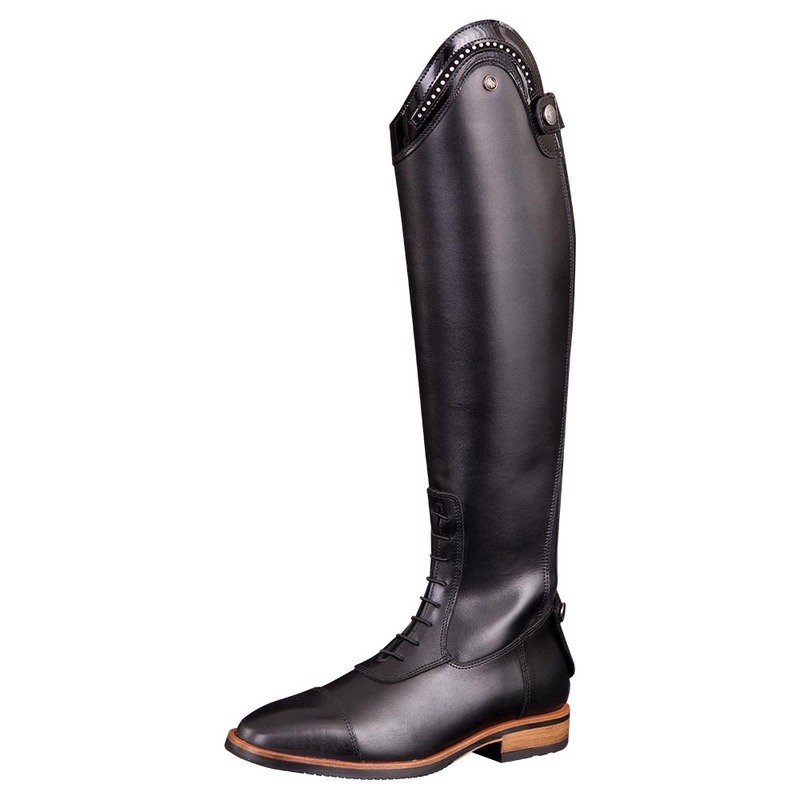 Chic riding boot made of water repellent neat leather with a thickness of 1.6-1.8 mm. The boot features a supple lining made of soft pigskin. 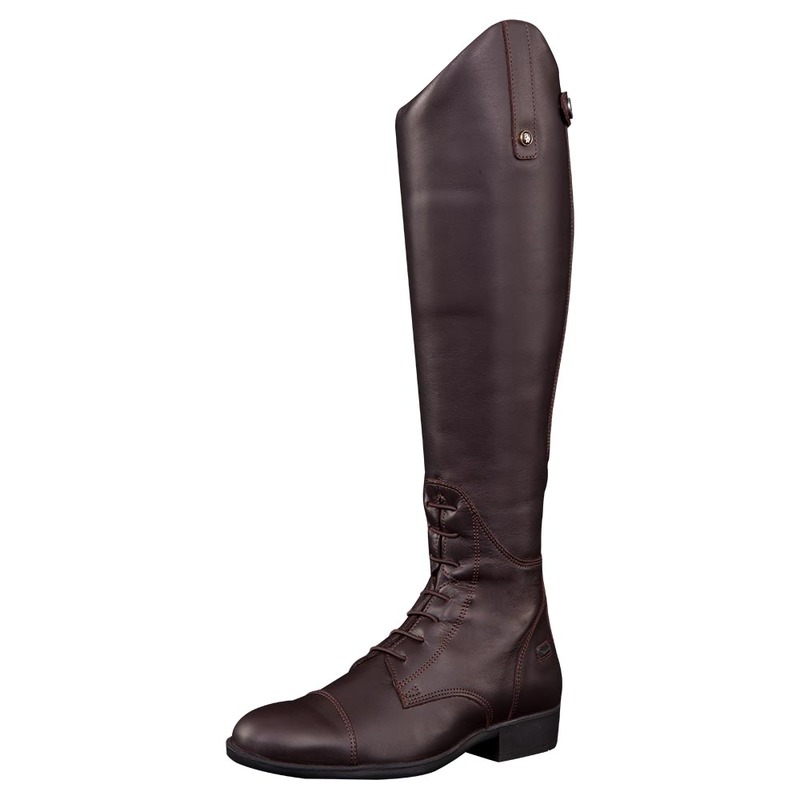 The boot is fitted with a strong full-length Opti® zipper (nr. 8) at the back, which makes it easy to put the boots on or take them off. Both top and bottom feature a patent leather zipper keeper with press stud on the outside. The leather flap on the inside of the boot protects both the zipper and the leg (please note: do not pull on this flap when putting on the boots). A close fit is provided by the narrow insert made of Italian quality durable elastic. The boot features elastic laces and a round topline (7 cm), which has been decorated with patent leather and imitation diamonds for a glamorous effect. A very special feature of this boot is its innovative outsole, which is made of injected rubber combined with leather. This not only makes the sole more flexible, lighter and stronger, but also more stylish. In addition, the sole provides good grip and the heel features an impact zone with excellent shock-absorbing properties. The Texon midsole is fitted with an integrated metal shank, which allows for good stability and even pressure distribution. Additional comfort is provided by its top layer, which is made of microfiber and 4 mm foam. Both the slim cut around the ankle and the stitched square toe cap provide a great look. Made in Europe.